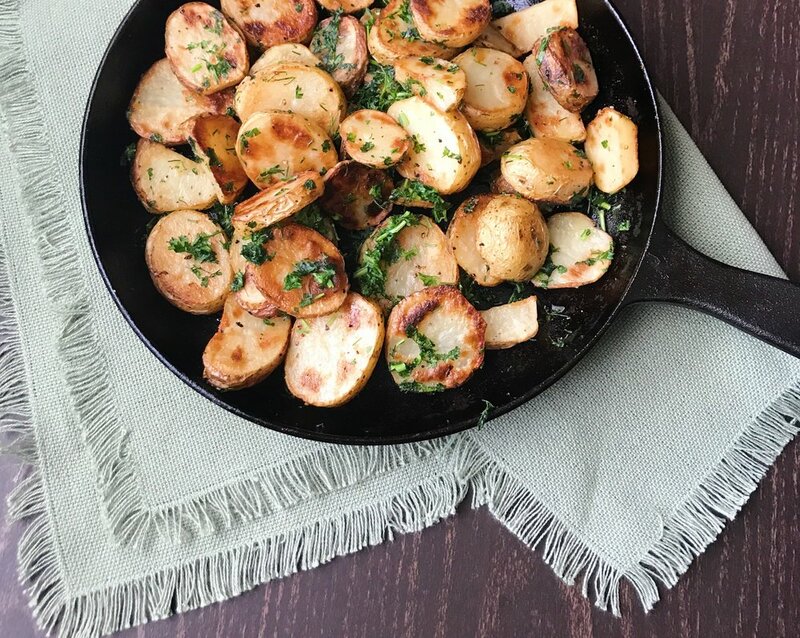 These potatoes are seriously the best of all time. Since they are pan-fried in a cast iron skillet, they are sure to get individual attention. This ensures that all of the the pieces can achieve a perfect golden brown. My number one reason for getting a cast iron skillet is to be able to eat all the crispy things. This turned out really wonderfully and I think I might just have to keep this one on constant rotation. The best part about this is that there is no wrong way to make this! Lets get to it! Place the potatoes into the skillet, careful about the oil splatters! Add the butter and the parsley together until all the potatoes are evenly coated.